Valentines Day 1988 was supposed to be awesome. Like the best, most epic Valentines Day that ever was. I was in luurve. Seriously, deeply, head-over-Candie’s-pumps in love with my boyfriend, Wil Wheaton-Look-a-Like. 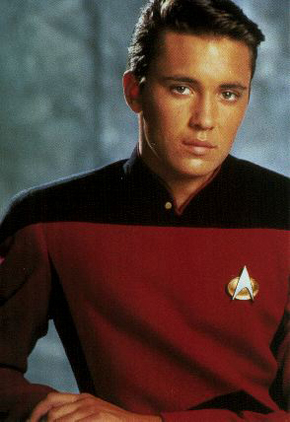 I’m not lying, he looked exactly like the kid who played Wesley Crusher on Star Trek: The Next Generation. 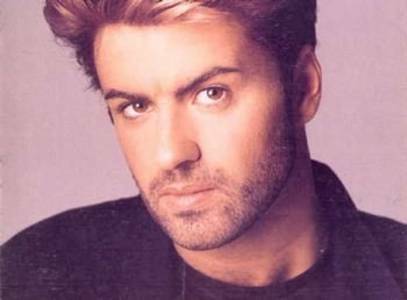 Despite his uncanny resemblance, my boyfriend was convinced he actually looked like George Michael, circa Wham! Given the respective record of both of these guys, I think Wil Wheaton-Look-a-Like would have been wise to agree with me. However, I digress. Back to Valentine’s Day 1988. The reason it was supposed to be so incredibly amazing was that--aside from the fact that I actually had a boyfriend (score!) --his father was a floral wholesaler (double score!). There was no way I wasn’t going to ring in the holiday without the most jaw-dropping bouquet of flowers, right? Right? Ever hear the expression, the shoemaker wears no shoes? This is what I got on Valentines Day. 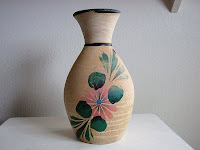 A big fat vase full of nothing. Not even a card or a cheap drug-store box of chocolates. But I did get a promise that eventually I’d get some roses. You see, his dad was working on it but roses were scarce during Valentines, plus they cost an arm-and-a leg and, blahbity blah blah blah...well, he’d make it up to me. My parents weren’t impressed. “If he cared about you, he’d have gotten you something, anything to prove it,” they told me. But I was in love and unfazed by their fuddy-duddy logic. What did they know? Pshaw, they were only parents. The following week came and went. Nothing. “Mother.” I sighed, exasperated by her relentless judgment. “You don’t know what you’re talking about.” Couldn’t she see how amazing he was? He looked like Wil Wheaton for god’s sakes! Besides, I knew she was just jaded by the fact that despite being six months older than me, Wil Wheaton-Look-a-Like didn’t have a driver’s license so I was the one who constantly drove the ten miles to see him at his house. “Uh huh.” She answered and spun on her heels, leaving me alone in my room with an empty vase. Finally, two weeks after Valentines he came through with not one, but two dozen long stem red roses. Unfortunately, they were individually packaged in newsprint, fresh from the wholesale floor. “Look, mom. Aren’t they gorgeous?” I beamed as I unwrapped the newspaper bundles then snipped off the ends and arranged them in my vase. I bit my tongue, furious with her astute and cutting analysis and realized…I couldn’t totally disagree with her. She kind of had a point. But I was seventeen and proud, pig-headed and desperate not to break up with my boyfriend. So I vowed never, ever to concede she was right. But that didn’t mean I didn’t secretly agree with her. So what did I do about it? Did I give back those roses, preferably with the buds hacked off and/or plucked of their luscious petals? Did I tell him that if he couldn’t deliver when it mattered, he might has well have avoided the effort all together? Did I make a stand and break up with him for expecting me to wait in line behind his father’s customers? Nope. I kept them, gushed over them, told my friends how beautiful they were, even let them dry and preserved them in my room for the rest of the year. I was a doormat. I kept driving him around, jumping whenever he called, spending my hard earned waitressing dollars on him and never expecting fair reciprocity in return. So, whatever happened to Wil Wheaton-Look-a-Like? He and I dated for the rest of that school year and summer, and had a long friendship afterwards. He even came to my wedding. Now he’s married and has two gorgeous daughters. His father’s no longer a floral wholesaler, so I’m guessing he gets his flowers the old fashioned way. You can learn more about Lea Nolan at her website, on Facebook, Twitter, and Goodreads. Her debut novel, CONJURE, is the first book in The Hoodoo Apprentice series. It will be released in mass market paperback by Entangled Publishing in October 2012 and is available for pre-order at Amazon. So what say you, gentle readers? Did you ever play the doormat in a relationship? How’d you learn to stand up and brush yourself off? Bwahahahaha! I love the difference in perception -- there's a chasm of difference between Wil Wheaton and George Michael! And it's a tough lesson to learn but I'm so glad that you did. Girls need to know that the status of having a boyfriend isn't worth having a bad one. Holla, sistah! You're so right, Jen. No boyfriend is worth crummy treatment. Ever! But even more than that, girls need to learn to stick up for themselves, whether it's with a boyfriend, jerky teacher, bad boss, frienemy, etc. There's no virtue in being a doormat! Wow Lea, you stayed friends? So what I want to know is have you ever talked about how douchey he was when you dated? Did he ever apologize for his jerkwad ways? Yeah, we stayed friends. *smirk* I don't think I ever told him I thought he was a jerkwad - and believe me, there were many other examples I could have used - but I do remember telling him at some point that we were better friends than boyfriend and girlfriend. And it was true. He was a bad boyfriend, but as a no-strings attached friend, he was pretty decent. Life lessons blow, but...we need 'em. Haha! Great post, Lea. I was just like you--willing to take crumbs when I deserved a whole slice. Took a while to grow a pair, but thankfully, I did. But I would've saved myself grief by breaking up with my first love and dating the devoted friend-zoned guy who was a better boy friend than my actual boyfriend. Alas, we never dated and someone else snatched him up. But don't be too hard on yourself for mistakes made at 17. Sometimes it's the only way we truly learn. Still, I wish I'd had some pertinent YA books back then with characters like Cameron Quick and Cricket Bell. Maybe I would've seen the gem in the boy next door. Bethany - Stop, you're killing me! I loved River Phoenix from the tips of my toes. And that movie, Stand By Me, ugh, so great. Even Corey Feldman was great, but only because he was so weird. I don't care whether he's daisy fresh anymore, WW is the bomb. Melissa - Slice? I say we deserve the whole loaf! Talk about impeccable timing! No, the hubby hasn't been treating me like crap, but there have been others that have brought out the not-so-nice Micki. I was raised to treat others the way I'd like to be treated, but somewhere along the way I missed the lesson about putting my foot down when I'm being taken advantage of. The best part was that you remember thinking the negative but just not saying it to him. That's the first step in "Expressing Yourself" like Madonna. :-) Those kind of life lessons start with just the knowledge that we DO deserve much better and we'll get it! And in the end, you did. So, it doesn't matter if once-upon-a-time you were a doormat. You definitely aren't one now! Congrats! But isn't there a part of you that wishes you could turn back time and tell him exactly what you thought while you booted him to the side of the road? LOL.